A person will use "certified mail" when they are required to show proof that they have mailed a letter or parcel. Certified mail is an acknowledgment from the United States Postal Service that they have received an envelope or parcel from the sender addressed to the recipient and that it was delivered to the recipient or an attempt to deliver was made. The person sending certified mail must complete additional steps and incur an additional cost. It is most likely that a person is using certified mail because they are attempting to comply with an imposed requirement. If that requirement only states "certified mail," then it is referring to a service provided by the USPS. Using a private carrier, such as UPS, would not be compliant. If you are attempting to simply prove that you sent a letter or package to someone, you may be able to use either the USPS or a private carrier such as UPS. In each instance, you would be given an acknowledgment from the carrier that you provided the parcel to be delivered to the recipient. The recipient of certified mail is required to sign for it, however, that signature record is maintained by the postal service. If you require proof that the letter was received, then you will need to request an additional feature, which is delivery confirmation. There are many circumstances when a private carrier, such as UPS, may be used in lieu of certified mail, however, those instances are dictated by the applicable underlying statute or by-laws. The IRS will allow you to use certain private services, such as UPS, and accept the date that you gave them the letter as the date that it was mailed. In recognition of the fact that more people are relying on private carriers to deliver important documents, legislators and governing bodies are addressing the situation by adding language that permits the use of private carriers. This is a prime example of form over function since both the USPS and private carriers each have systems in place to record the receipt and delivery of the package, which is the goal of using certified mail. However, if certified mail is specified, then that is referring to mail sent through the postal service. Armstrong, Morris. "Can a Letter Left by UPS Be Considered Certified?" 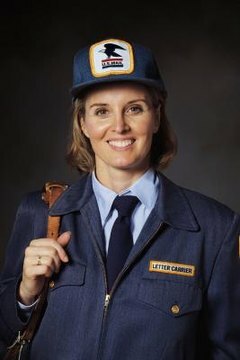 , https://legalbeagle.com/10018145-can-letter-left-ups-considered-certified.html. Accessed 21 April 2019.